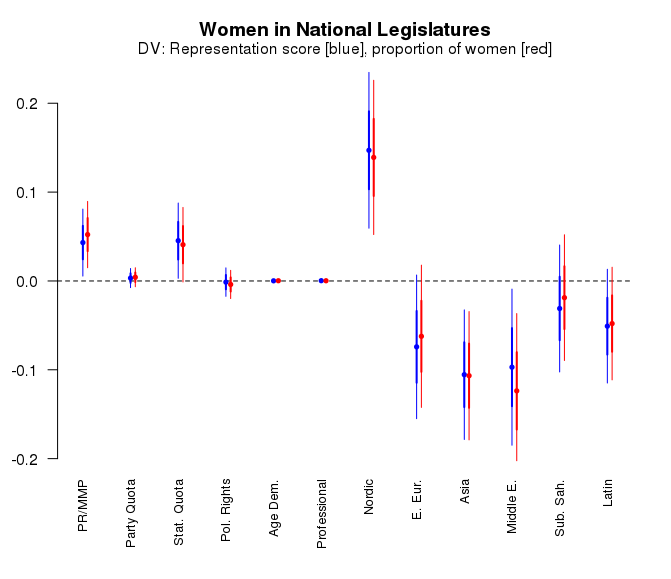 A simple query to get data by Fabrizio Gilardi meant I was digging out old analyses from my article on the political representation of women in national legislatures. I put of running beta regressions on these data for too long, and now there was no reason not to. In case anyone should get the wrong impression, by “not supporting” beta regressions, I mean that you cannot throw a model at the coefplot() function; of course you can extract the coefficients and standard deviations and have these plotted!